Looking for math summer programs in Manchester MA, for your student? 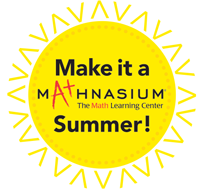 Mathnasium offers programs for students of all ages and skill levels. Our center understands the importance of keeping students engaged during summer break— two-and-a-half months is a long time. Keep your student on top of his or her game by enrolling in our Manchaster, MA, summer programs today! Perhaps the most important aspect of tutoring is connection. That is, making connections. At Mathnasium our certified math tutors are trained for interactive, hands-on instruction, to make sure students remain interested and engaged. From elementary to high school students, there’s specific, detailed — and fun — lesson plans to keep the focus. Tutors quickly assess students’ needs, reviewing last year’s material if necessary, before preparing for the next school year. Our Manchester, MA, summer programs rank among the best. Whatever you student needs, wherever he or she is, Mathnasium offers a warm, positive environment for optimal learning. This year’s offerings include 16 one-hour sessions that can be taken at once or spread out over the course of the summer. April 1st Early Birds: Enroll by 4/1 for a 10% discount. May 1st Early Birds: Enroll by 5/1 for a 5% discount. Are you ready to transform your student into a mathlete? Mathnasium helps build your student’s confidence. With one-on-one or semi-private instruction, our summer sessions sharpen skills and ensure concepts are grasped for math success. Don’t let summer slippage occur! Register your student in our Manchester MA summer programs and make the most of the upcoming summer break.